The ridesharing company Lyft is now offering its dockless electric scooters around Arlington, making it the third firm to offer the vehicles in the county. Lyft announced that its scooters will be available in Arlington starting today (Monday), less than two months after the company brought dockless scooters to D.C. Anyone looking for a scooter rather than a driver simply needs to select the option in the bottom left corner of the Lyft app. 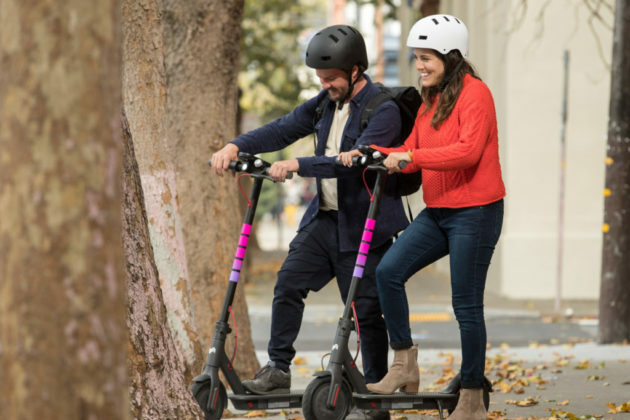 Chris Dattaro, market manager for Lyft Bikes and Scooters in D.C., told ARLnow that the company will start off with about 200 scooters in the county, and gradually ramp up its offerings from there. County leaders signed off on a pilot program governing dockless vehicles this fall that allows companies to operate a maximum of 350 scooters or bikes right away, then apply for 50-vehicle increases each month. “We know Arlington is its own ecosystem, but also that people go between Arlington and D.C. all the time, so we’re excited to connect them together,” Dattaro said. Dattaro says Lyft’s scooters will primarily be “centered around public transit and where people live, work, and go out,” following a similar strategy to the other companies already operating in Arlington: Bird and Lime. Dattaro added that the process of applying to operate in Arlington has been a relatively straightforward one thus far, and the company has been working closely with county officials for weeks now. Though the other companies in the county have chafed a bit at the 10-mile-an-hour speed limit for the scooters included as a condition of the pilot, Dattaro says Lyft has had no trouble complying with that standard. “We want to focus on being good partners with our regulators,” Dattaro said. Arlington officials expect that as many as 10 dockless vehicle companies could someday operate in the county. 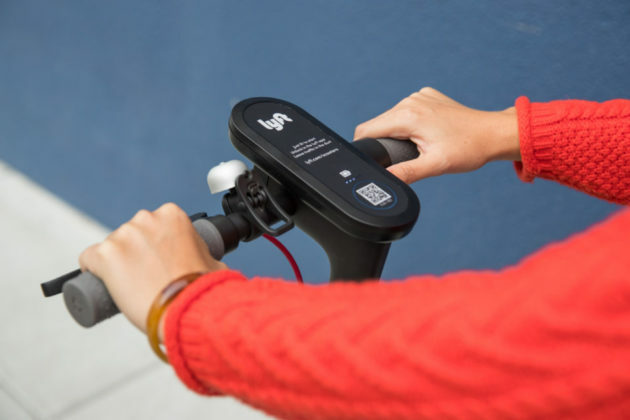 Skip has frequently expressed interest in Arlington, as has Jump, which could offer electric bikes and scooters in the area as soon as January. The county’s pilot program is set to wrap up next summer, as officials prepare a raft of new policies and ordinances to govern the vehicles.